When you live in this part of the world, winter and winter storms are just part of the packaged deal. But there are times when winter can deal a pretty chilly, ice and snow-covered hand. And with all of the wonders that a crisp winter day can bring, there are many times that winter is unpredictable and brings on bad winter weather conditions. So when a snowstorm hits, that may mean a snow covered driveway, including snow piling up against your entrance or garage door. Since snow removal can be very tedious, especially when coupled with freezing rain, sleet and ice all around and unbearable temperature; a commercial snow removal service such as Provo Snow Removal can be a really good option for you. Here are some additional benefits of hiring a professional when the flurries start to fly. 1. Accumulating snow and sleet can be extremely dangerous, especially if one is not in top physical form. It really is not an easy task to de-ice and shovel the layers of snow that have collected and accumulated on your property. And, as you well know, if snow and ice are not removed, these slippery snow layers can cause serious accidents. Provo Snow Removal services use the highest standard safety equipment in order to keep your residential property free of snow. Provo Snow Removal is there for you 24-hours a day, 7 days a week; which means you and your home will be free and clear no matter the weather. 2. Compile a checklist of services you feel you may need this winter. Before you choose to hire the professionals, it's important to note the work you need from them. This will save some surprise on cost, and you'll be able to identify everything you need to be completed. At Provo Snow Removal they will help you put together a list of your winter snowstorm needs, so you can be as prepared as possible. Something that is important to note is that Provo Snow Removal specializes in de-icing, sidewalk snow removal and more. Which makes it perfect for any residential snow removal need. 3. Lastly, it is important to hire the experienced snow and ice removal company. By choosing Provo Snow Removal you are guaranteeing that your home is just as important to them as their own home. Your priority becomes their priority. 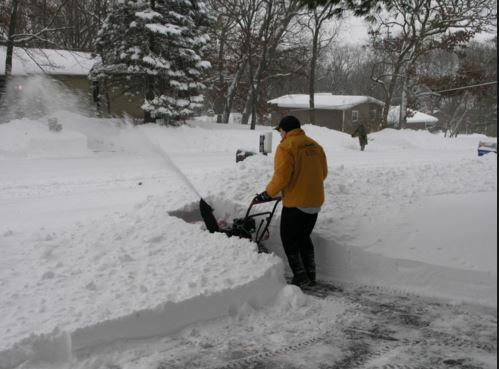 In order to have peace of mind for the winter season ask the experts at Provo Snow Removal. Not only will they be sure to clear any pathway, walkway, entrance or driveway, they will also connect with you to be sure they are meeting all your needs over the chilly season. There are so many ways winter can really take our breath away. Whether it's the chill in the air, or the fresh powder drowning your driveway, Provo Snow Removal is there to meet all of your residential snow removal needs. It should also be noted that at Provo they carry a full line of snow removal equipment, so there is no waiting when the snow starts to fall. Just give them a call, and soon you will be free and clear.